The eight staging of the biennial indoor championships for veterans aged 35 and over, saw participants from every corner of the globe convene on Toruń, Poland for seven days of fierce competition. The medieval Polish City, famous for its Museum of Gingerbread, was the destination for Teviotdale Harriers Welsh. 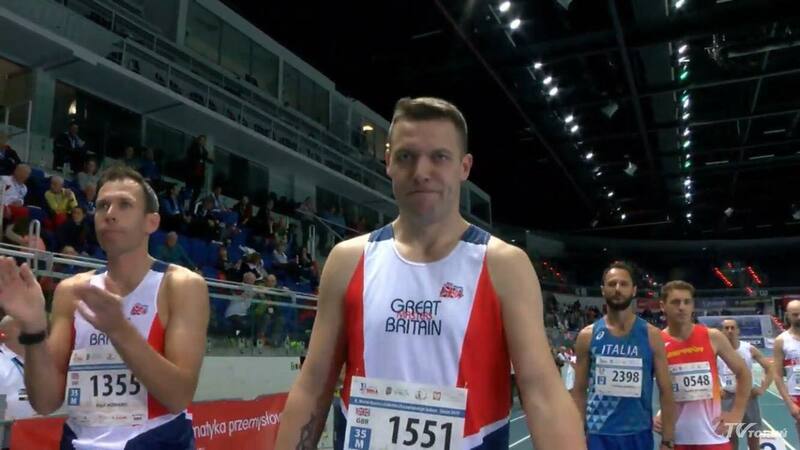 This time racing in his Great British and Northern Ireland vest, he tested himself on the track against some seriously sharp and seasoned runners. 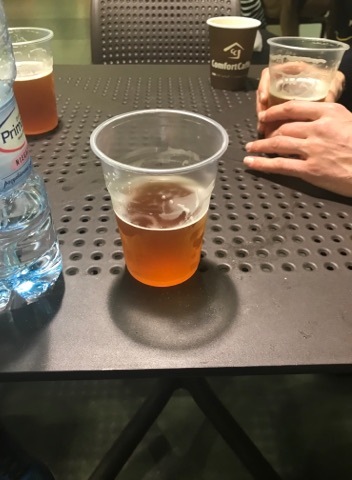 Four races in four days may have taken its toll but that’s exactly how Colin would want it; “On reflection, now the dust has settled and I’ve had a couple of pints (it’s important to rehydrate), my legs are in bits, my bodies in tatters but I wouldn’t change it for the world. 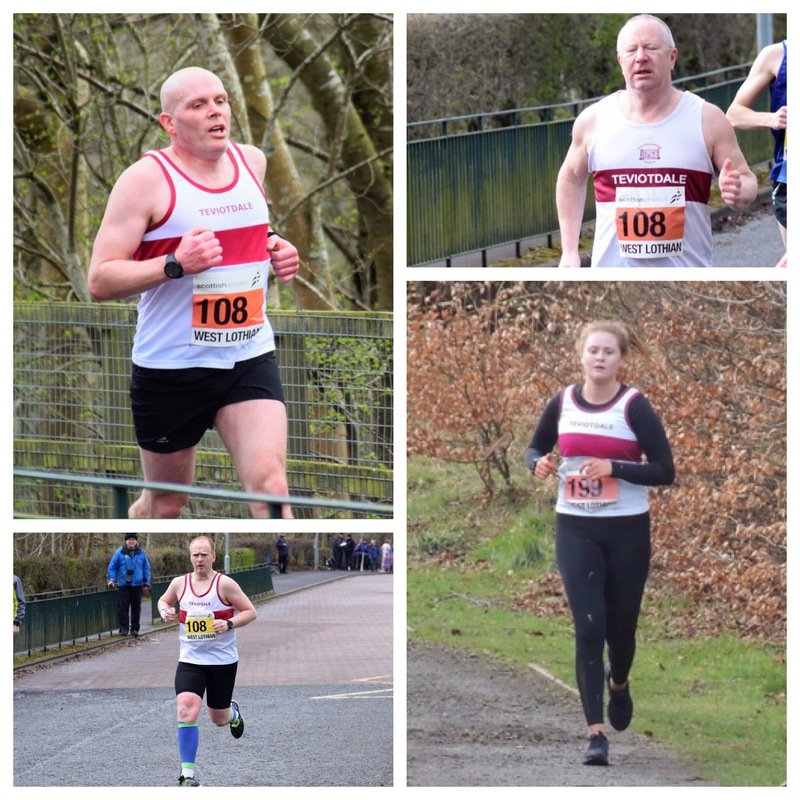 The National Road Relays proved a historic occasion for Teviotdale Harriers at Livingston on Sunday – for the first time ever, the Club had a full team competing in the women’s race amongst some of Scotland’s best runners. 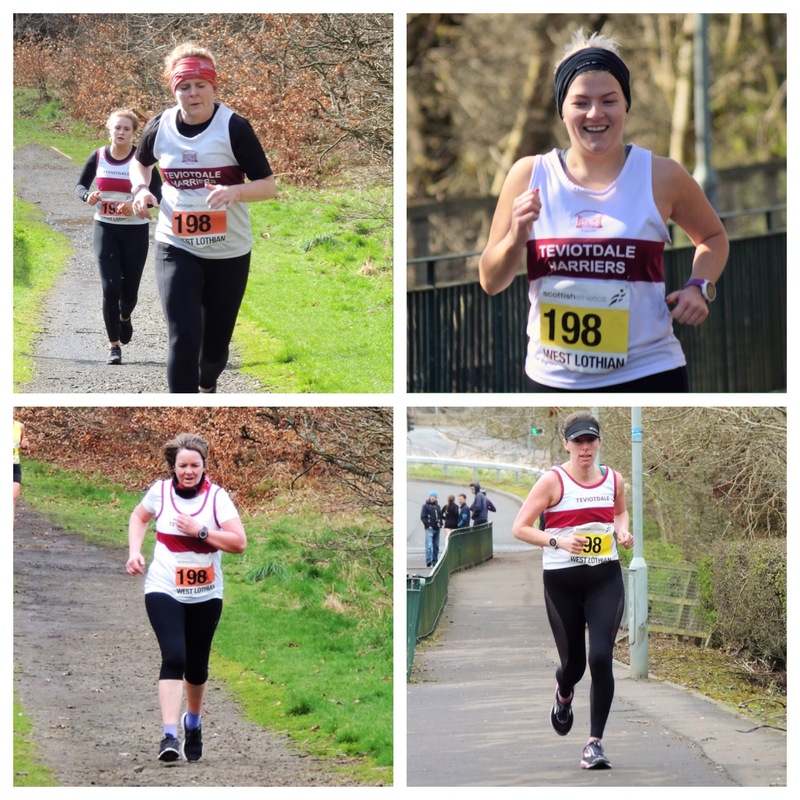 Ann Aitken, Jade McHugh, Donna Inglis and Kirsty Hughes tackled the undulating technical course around the streets around of West Lothians largest town, with a stiff breeze adding to the test. The increasingly popular event saw Teviotdale travel with three officials and 14 runners, nine men and five women, as teams of men (6) and women (4) ran alternating short and long laps. The short legs were roughly three miles and the long about 5.8 miles. First under the starters gun were the men at the stroke of midday. Team ‘A’ for Teviotdale consisted of Andy Goodair, Sammy Walker, Andrew Gibson, Rory Anderson, Alister Biggar and Alan Inglis. The Harriers also had a partial Team ‘B’ in Derek Ballantyne, Derek Scott and Alan Coltman who competed over the first three legs. Ten minutes after the men, the women’s race would commence, with Ann leading them out. Starting alongside Ann would be Ishbel Inglis, our solo Team ‘B’ competitor in the women’s competition. Andy Goodair (19:50) and Derek Ballantyne (22:32) resolutely raced around short leg one as Sammy and Derek Scott waited to take on the first of the long legs. Running enigma Sammy continues to belie his years and flew around in impressive fashion (33:26) with Derek (43:20) battling through a niggling calf to complete his leg. Regular Road Relay runner Andrew (20:33) posted his fastest ever time over the short leg with Alan Coltman (24:56) bringing Team ‘B’s race to an end. Meanwhile Ann (28:47) powered to the line, not far behind Ishbel (28:25) and Jade took over the running. Setting off on her long leg, Jades (50:12) unswerving style of running handled the course keenly. Rory in the meantime was now on his long leg, and absolutely flying. Third leg women’s runner Donna took over from Jade and mid-run had time to describe how much she was enjoying her leg. Rory (32:53) raced right to the line and smashed his personal course record to set Alister Biggar off on the penultimate leg. Donna (28:08) completed her run and Kirsty waited to run the fourth and final women’s leg. Alister (22:02) gritted his teeth and was obviously giving his all as he passed with about 1km of running to go. Alan Inglis would finish off what the previous five had started. Kirsty (47:22) who is clearly enjoying her running just now, amazed herself at the personal time she had achieved as she crossed the line to place Teviotdale Harriers a creditable 32nd. Alan, now the only Harrier left to complete his leg, soon appeared around the corner and in customary fashion gasped for air and pushed himself to the limit as he raced towards the finish line. Alans (39:14) efforts placed the men’s team 40th overall. Four young harriers made their way up to the Royal Highland Show Centre at Ingliston, Edinburgh on Sunday 17th March to swap their spikes for racing flats for the fast and furious Scottish athletics Young Athletes’ Road Races. Conditions were a bit blustery however, thankfully, the snow from the day before had cleared, writes Eilidh Jaffray. 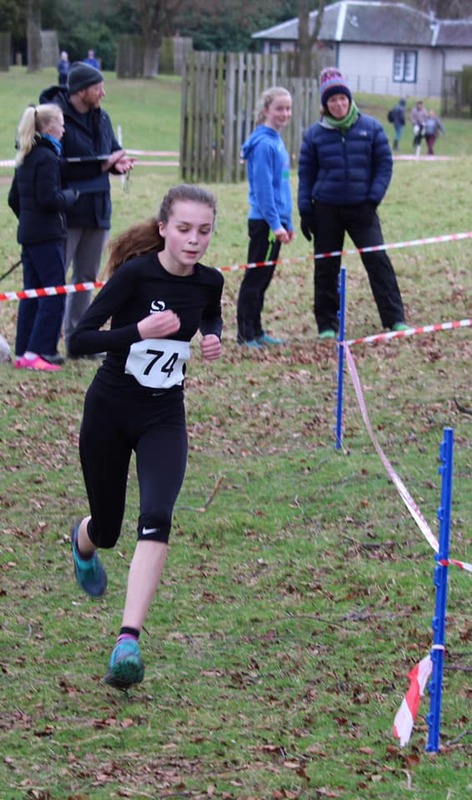 On Saturday the 2nd of March harriers from Hawick High School and Langholm Academy headed to Hopetoun House, South Queensferry to compete in the Secondary Schools XC Champs, writes Eilidh Jaffray. The conditions were slightly warmer than they were when it was the Beast from the East last year though it was a bit windy with a few sheep to contend with. 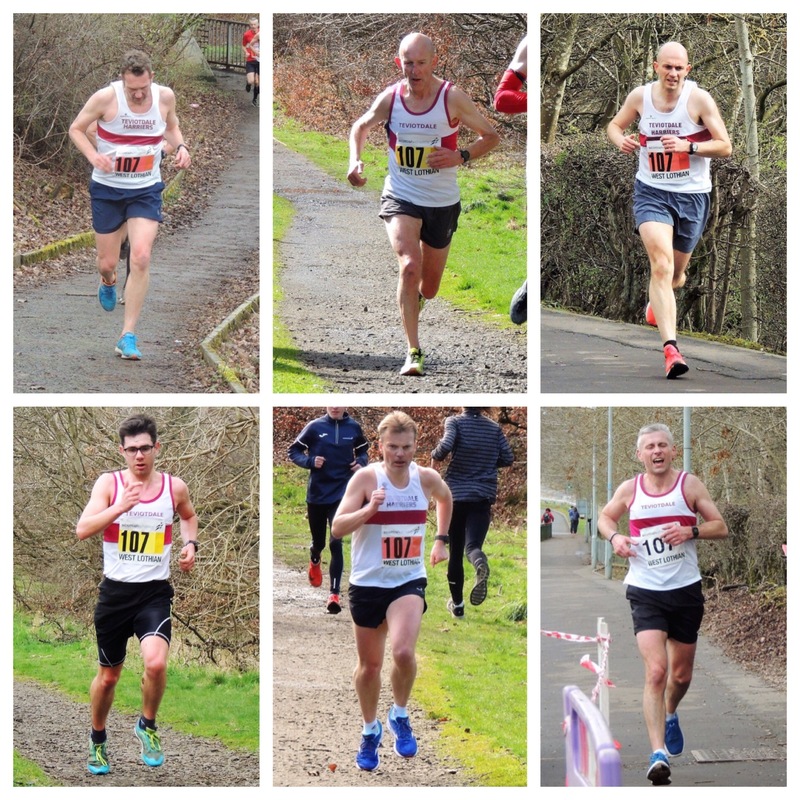 The curtain came down on the 2018/19 Borders Cross Country Series on Sunday leaving six Harriers with overall podium places. In a busy weekend locally for Teviotdale Harriers, success was to be found for two Masters athletes who were on their travels.